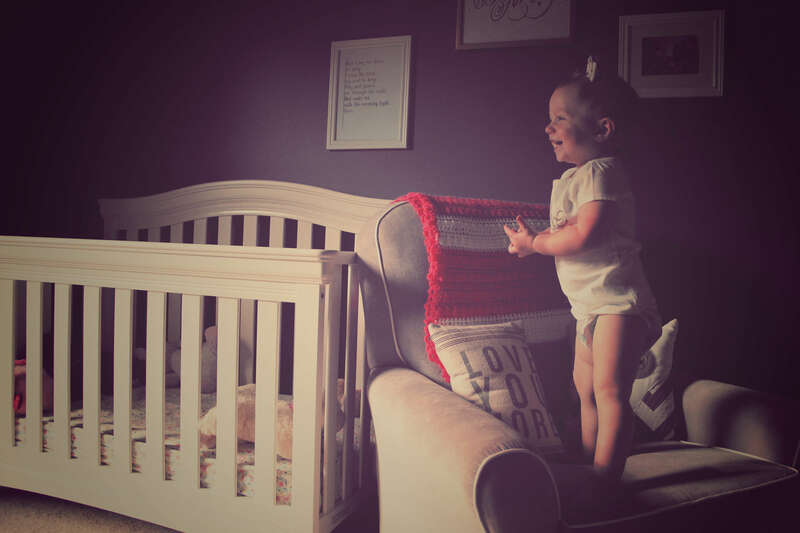 It’s official… our little girl is a daredevil! She’s climbing everything these days. 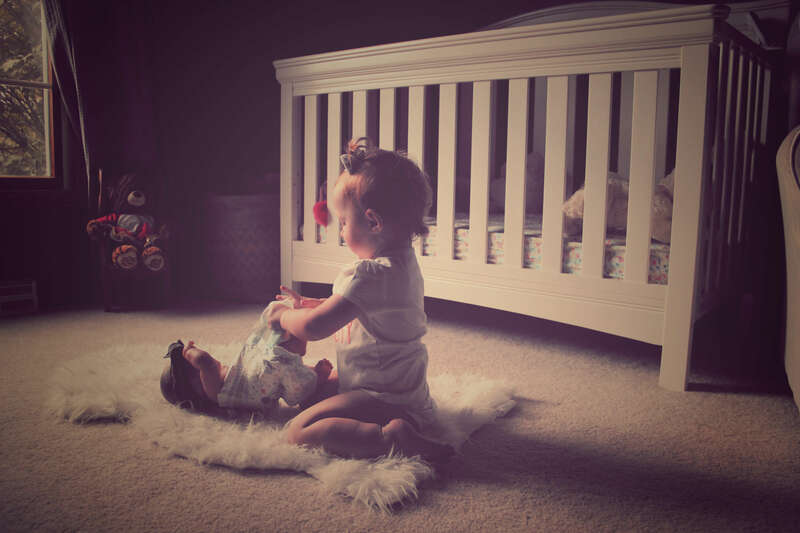 Thank goodness she isn’t trying to climb out her crib yet… because mama isn’t ready for a toddler bed. At 19 months old, she’s constantly on the go. It’s such a fun age, although I’m a little worried now that the fall weather is about to hit because we count on time outside to wear this girl out. She’s hilarious. She wants to do everything we’re doing and is a little frustrated when we don’t know exactly what she wants. 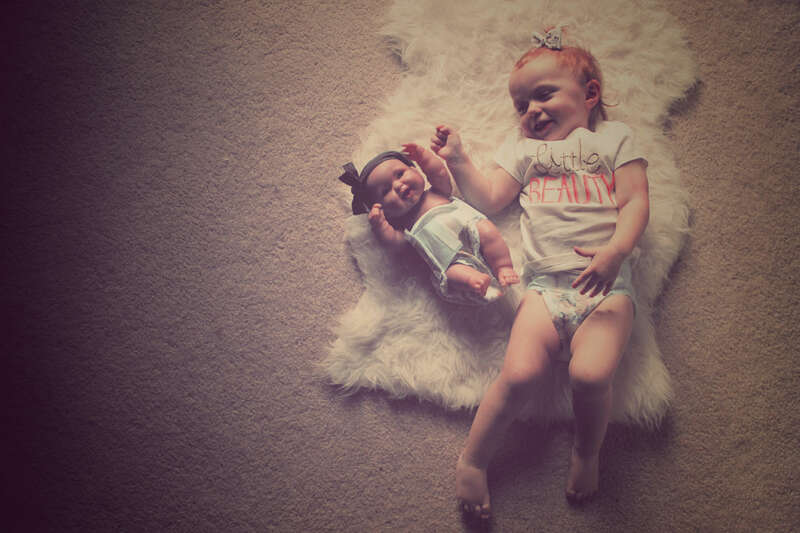 Her babies are her best friends… she’s such a good little mama. She is obsessed with pushing them around in the stroller and the shopping cart, or carrying them around in their little car seat. She also loves trying to dress them, put headbands on them and change their diapers. It’s adorable. 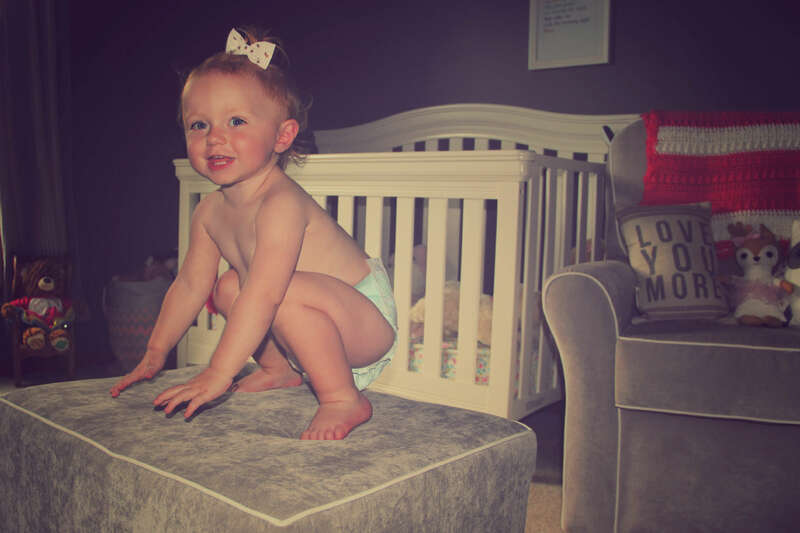 With Blaire being on the move so much these days, we were excited to try New Huggies Little Movers Diapers! 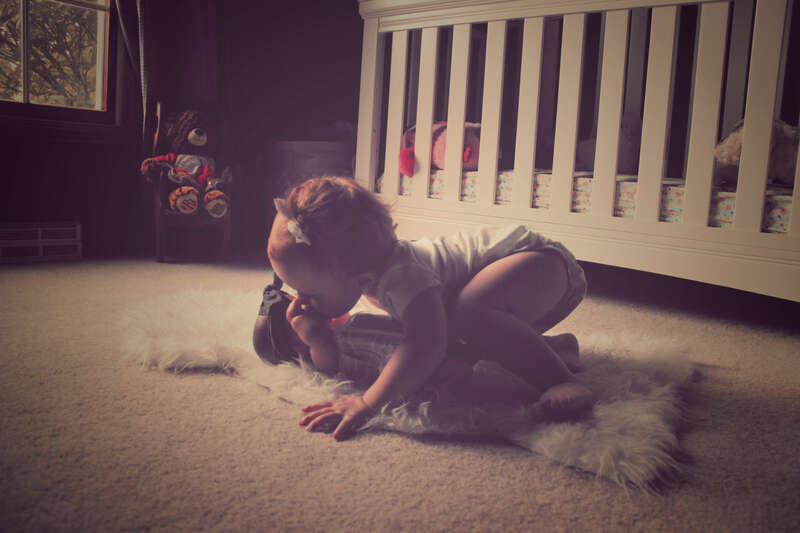 They definitely live up to their names as they are perfect for little movers. Isn’t it funny that once you become a parent you get excited about something like a diaper? Blaire loves them because they have Minnie and Mickey on them (They’re her buddies!) and I love them because they fit her so well. I especially love that they have double grip strips because someone had recently learned how to open the strips on other diapers. You can buy them in a smaller 24 pack to give them a try, or you can do it like us and buy the jumbo pack! 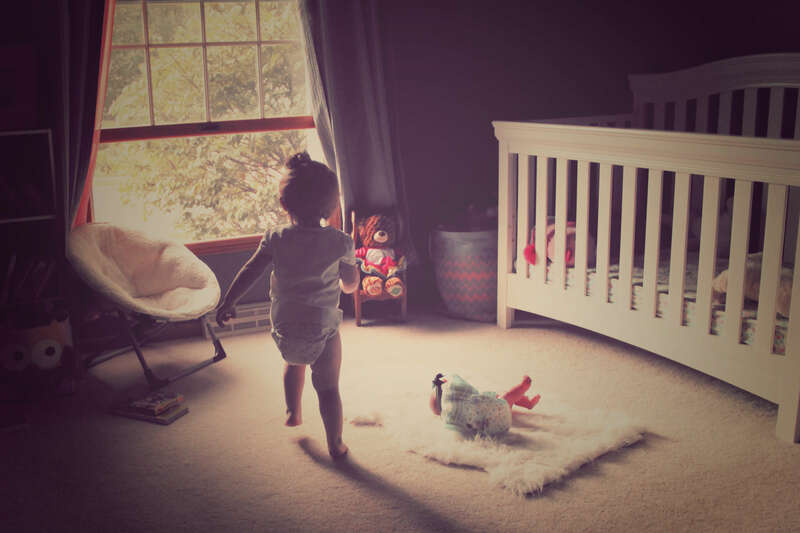 ;) For your chance to be featured on the Huggies social pages, upload a photo (or video) of your baby on the move using #SetBabyFree. 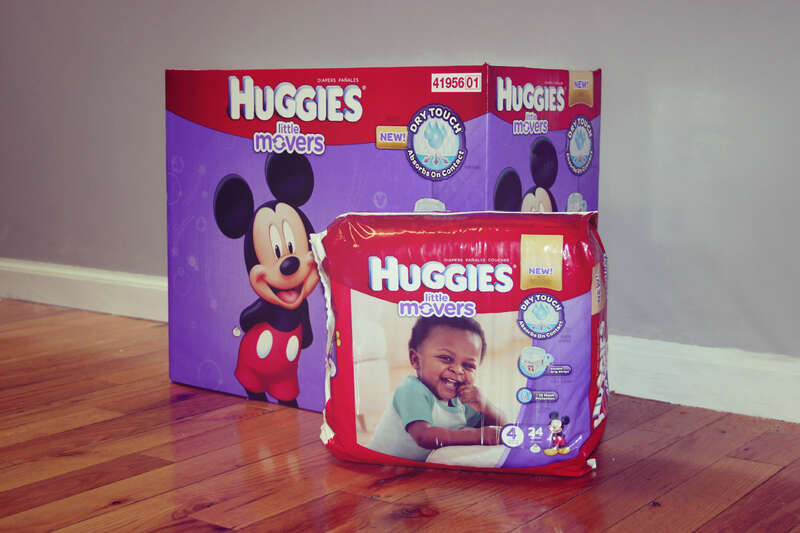 And don’t forget to try the New Huggies Little Movers Diapers. Love your blog! Blaire is the cutest. I got over the mini heart attacks fast with Huntley, as you know she’s been very active from day one! All I can say is she’s great at falling! 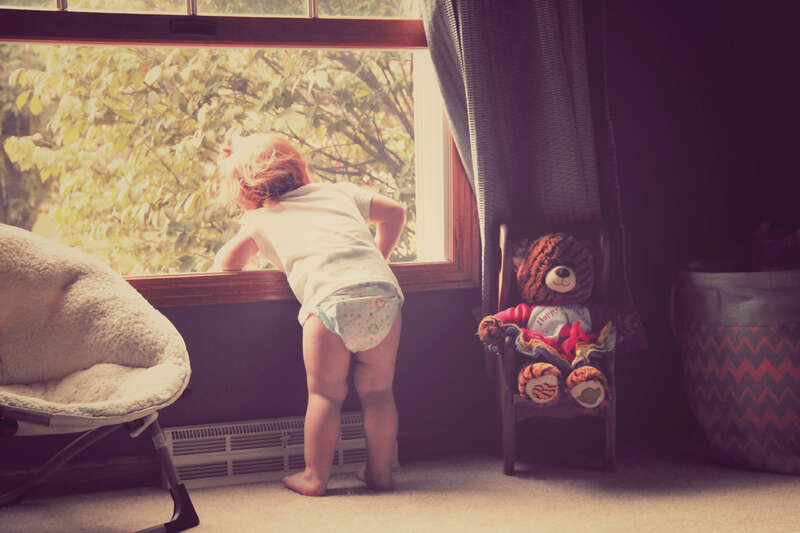 Also beautiful photos, we’re currently transitioning outta diapers and into undies…I sense it’ll be a long process, especially outta the house! Love your blog! Blaire is adorable! These are such beautiful pictures! She’s a doll! Awww! She is super adorable. Love the pics. TRISTA, your write up is so neat ! Love all the pictures too! Blaire is just so cute!